Jagged Alliance 2 takes you – the male or female mercenary commander – to the fictional country of Arulco at the behest of its exiled leader to fight against the oppressive regime of his wife. With a small supply of funds, a letter for a local contact, and whatever equipment and personnel you can hire with those funds (ie: not very much) you set out to free a people living in fear, for profit. JA2 allows you to manage multiple teams of mercenaries across a strategic map, moving over land, in vehicles, in the air and (in some cases) under the ground. The native population (a mixed bag of most every ethnic grouping) can be trained as militia to resist the counter-attacks of the government troops, and mining facilities can be taken over to finance your campaign. Your own troops can practice to improve their skills or train and tend to each-other. Combat in JA2 is turn-based, allowing you to think things through and plan your moves without time-pressure. An interrupt-based system allows combatants with left-over action-points to respond (based on their reactions) to unexpected firing opportunities. Overall, JA2’s combat and skill systems are tactically rich, and still approachably straightforward. Perhaps the primary flaw in JA2’s combat is that the opposition tends to be a bit over-capable, seeming to have higher stats and accuracy to compensate for a weaker tactical AI. There are a few other flaws, but most of them are eliminated – and the game hugely enhanced – by the JA2 v1.1.3 community mod, which I highly recommend – especially if you want better support for screen resolutions. While 1024×768 doesn’t sound awesome anymore, it’s far better than 640×480. 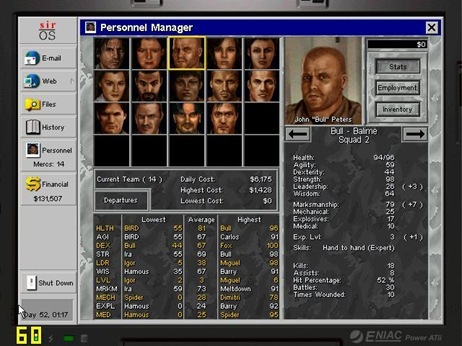 As with other mercenary company simulators, personality is a strong factor in JA2. Some mercs like each-other, some hate each-other, some grow to like each-other, and JA2’s voice-acting is littered with hilarious asides, and interesting references. That said, the voice acting can be pretty weak, especially right at the beginning of the game, where a number of lines sound exceptionally wooden and stilted before the actor or actress comes into their own later on. Music is by the inestimable Kevin Manthei. 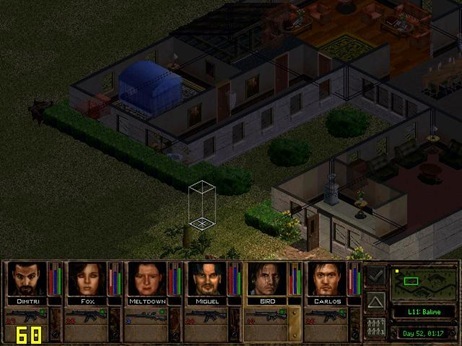 Even better, this enduring classic is being remade with a more modern 3D engine, as Jagged Alliance 2: Reloaded by bitComposer, and is due in Q4 2011. 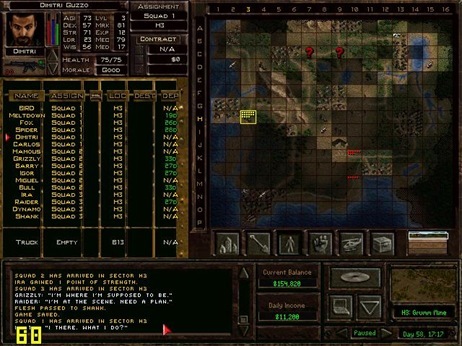 Jagged Alliance 2 supports saves/quicksaves at any time, and is available from most digital download services, though Gog.com is undoubtedly the best and cheapest source for this game. The Steam version of the game which was released in an unplayable configuration back in 2006 or so was silently fixed about a year or so ago, and is now properly playable. In almost every case with all of these games, you’ll want to start the game a second time (or a third!) once you’ve managed to get more of a hang of what you’re doing. The business of being an international (or indeed, interstellar) mercenary isn’t always the most straightforward career path. The mix of management, strategy and tactical combat can be a deliciously appealing mix – or at times rather frustrating, as you’re getting the hang of it, though that is as it should be.